Designed to work in harsh environments. Saves money - works harder and longer. High resistance to mechanical damage. Highly resistant to rust, recommended for outdoors, inside coolers, freezers and chemical applications. 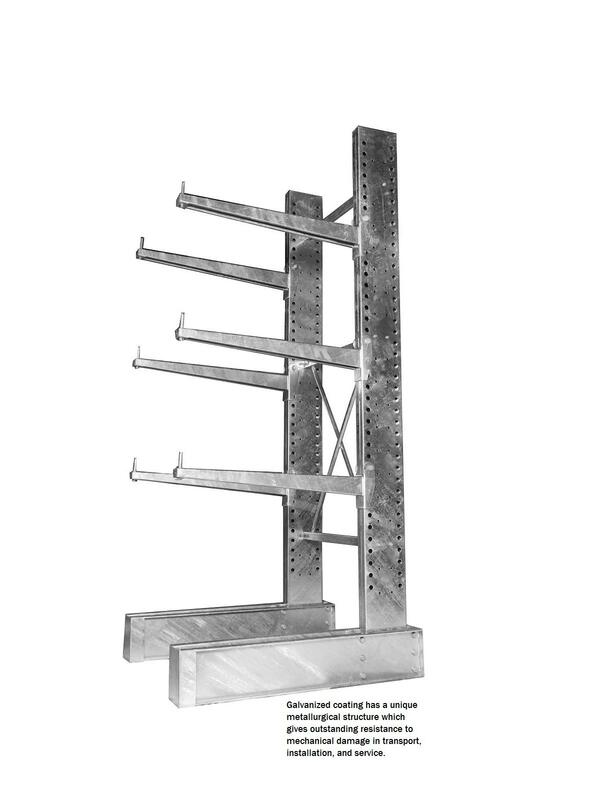 Galvanized pallet rack will give you a stable, safe and economical storage solution that will last for years to come. Durability will surpass standard powder coating finishes. Stops are not included. FOB Shipping Point. Galvanized coating has a unique metallurgical structure which gives outstanding resistance to mechanical damage in transport, installation and service. Steel surcharge may apply. Large quantities and non-stock item lead times 8-10 weeks. 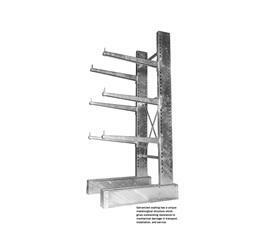 Other heavy duty cantilever bases available - standard lead time 6-8 weeks. In Stock Items: All items are in stock.